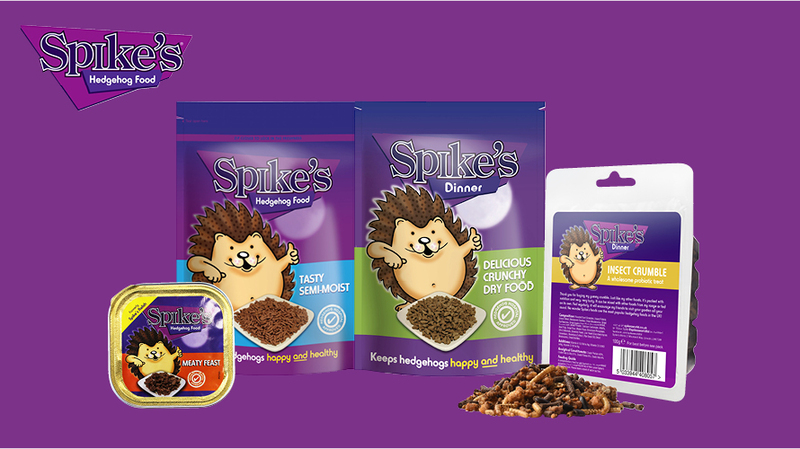 There’s nothing spiky about Spike’s Hedgehog Food – just naturally nutritious and delicious ingredients. We know about the simple pleasures hedgehogs can bring to a garden and they provide a great source of organic pest control, but these days hedgehogs need a helping hand. Leaving food out regularly will attract hedgehogs to gardens, help control pests, and most importantly help the hedgehogs get all the nutrition they need. That’s why we developed the Spike’s range of hedgehog foods, to ensure our spiky friends can thrive in their natural environment.